The adidas Golf Ultimate FrostGuard Trousers have been created to provide comfort, warmth and style through the colder months of the year. To deliver warmth in the cold adidas have used a brushed fabric that features excellent moisture-wicking and water-resistant properties. A stretch waist with an adidas silicone gripper will not only provide a superior fit but will help keep your shirt tucked in. Plenty of pockets provide ample storage for all your on and off course accessories. Included in the pocket layout are two front hand pockets, two back welt pockets and a hidden side seam zippered pocket. 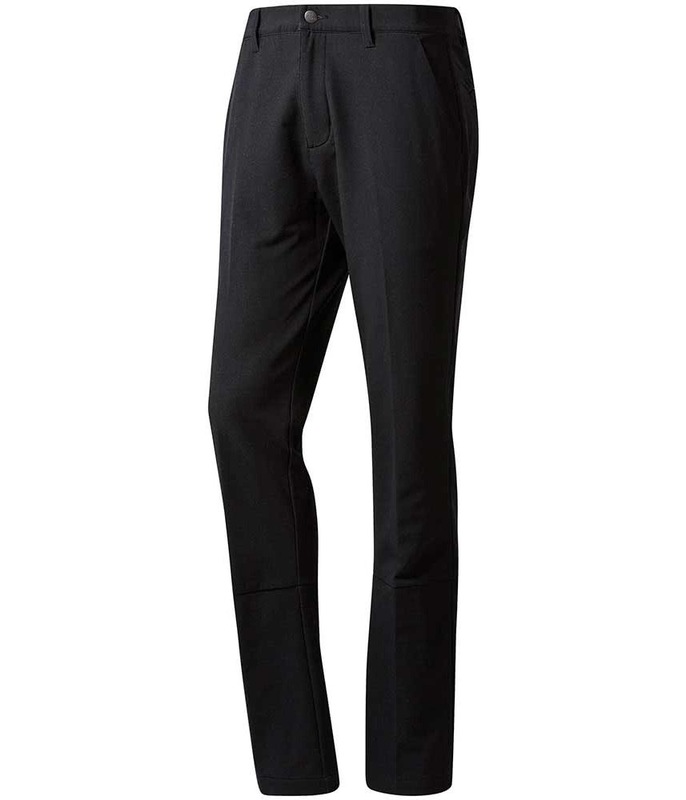 Front hand pocket; Hidden side seam zip pocket on one side; Back welt pockets. Internal heat-guard cuffs for warmth. 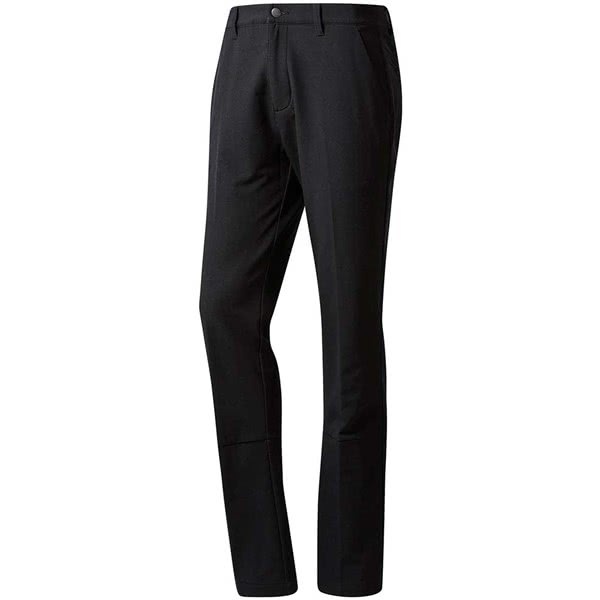 52% nylon / 39% polyester / 9% elastane twill.